Add variety to your collection with these unique earrings! 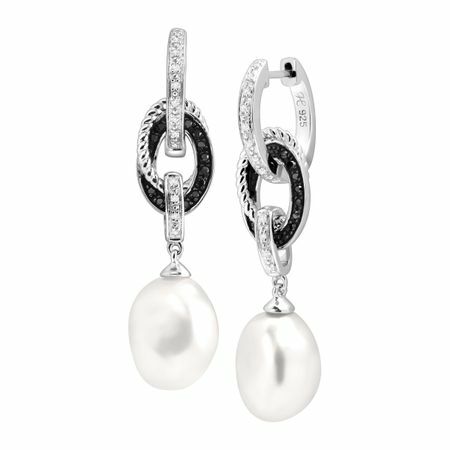 9-10 mm freshwater baroque pearls suspend from three sterling silver links decorated with round-cut black and white diamonds, totaling 1/5 ct. Convert these drops into hoops by removing the pearl-and-link pieces, leaving you with glamorous and dainty hoops you can wear anywhere. Pieces measure 1 5/8 by 3/8 inches.